Vic Roman’s New York Central’s Hudson Division layout is the lead article in this quarter’s edition. Enjoy reading about his wonderful modeling ability and see some great photos of this great railroad. This second issue for 2014 brings you an interesting article about former NYC employee, Maurice Lewman’s 1/4-scale model of a locomotive Baker Gear.You will find detailed drawings of the CR tower in the “NYC Engineering Department” from Manuel Duran-Duran with a model of that tower build by Larry Faulkner in “The Harmon Files”. These two regular NYCentral Modeler staff members continue to add professional credit to the magazine.Rick De Candido contributes an interesting article on “Building a NYC DFA/B-1a”. Rick takes us through a history of this early NYC diesel locomotive and a step-by-step process of creating an accurate model in HO-scale. One of the NYCSHS’s newest members and perhaps its youngest, Philip Lee, tells us how he became a NYC modeler and shares how he modified a Intermountain steel-sided reefer to more closely resemble an MDT steel-sided reefer numbered in the 900 series. You will be treated to a “press release” from 1958 as Andy Szabo tells us about how if solved a vexing problem with a curve that was too tight on his NYC layout. 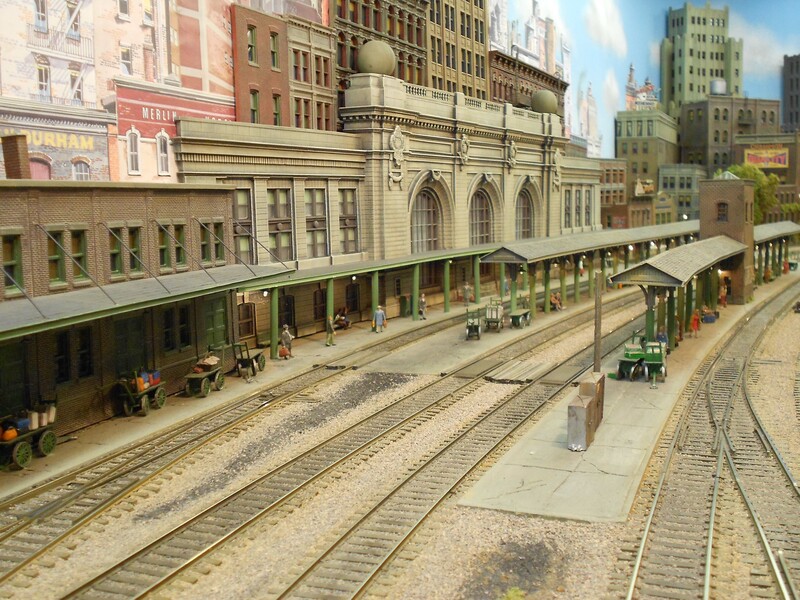 Richard Feldman gives us a guided tour of his NYC N-scale railroad set in Ohio. You will also see some of his fine building models and hear how he became a modeler in N-scale. This article is a welcome change from the many HO-scale articles we usually find in the magazine. And, of course, you will read about “What’s New for NYCS Modeling” and letters to the magazine in “NYCSHS RPO Letters and Emails”. You will also enjoy the many photos of some of the modeling being done by NYCSHS members in “The Photo Section”.